It is very simple and any one who has already worked VS 2005 or any other Visual Basics IDE can do it. 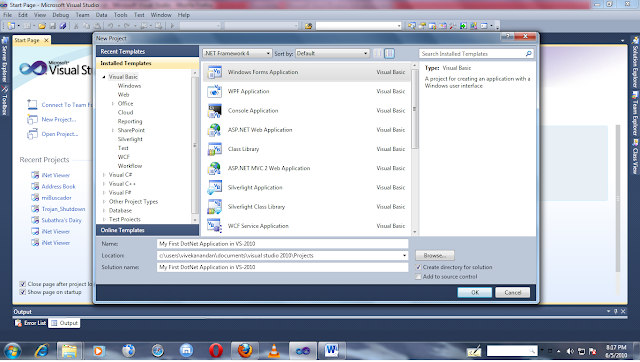 And then select the item or the class any component that you are going to develop. Check for the path of your project file.